In my History today, I learned about Mohandas Ghandi. Ghandi had a good idea and was a great leader. India wasn't happy with British rule and the Indians wanted to rule themselves. 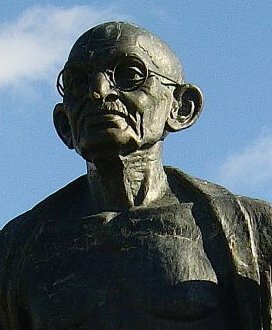 Ghandi was an Indian leader who worked for freedom but he did not believe in fighting. He and his followers refused to do what the British said and he and some of his people went to jail for that. His resistance paid off in 1947, India became a free country and part of the commonwealth of Nations. You do not have to go to war to fight for peace and freedom but it is important to fight for what is right. Mohandas Ghandi was born in Porbander in Gujarat India on October 2 1869. He was educated in law at University College, in London.He was raised in a very conservative family that had affiliations with the ruling family of Kathiawad. Do you think Ghandi did what was right? I do! Also, for my website, I am making a dragon story section where kids can join in on making the story.